The practice of medicine has always been a balance between scientific evidence, personal experience and the art of application. Increasingly, the public has demanded a drive for more scientific-based decision making. Big data has been a huge component in that process and is thus irrevocably changing the face of medicine and neurosurgery. 1. Data derived from large-scale databases to promote clinical and basic science research. 2. Computer-assisted disease characterization and prediction via machine- and deep-learning techniques. Clinical evidence derived from Big data bases, such as ACS-NSQIP, is increasingly shaping neurosurgical practice as well as the landscape of popular research strategies and techniques. Neurosurgery, like other surgical disciplines, has benefitted from specialty-specific databases like the Quality Outcomes Database (QOD) (previously known as the National Neurosurgery QOD or N2QOD) an alliance between American Association of Neurological Surgeons (AANS) and NeuroPoint Alliance (NPA). This registry has provided a robust sample size for the study of various neurosurgical disorders. The subsequently published data from the QOD Spine registry has provided evidence in regards to outcomes of, recovery from and cost-effectiveness of lumbar discectomy. NPA has, in addition, established registries for cervical spondylotic myelopathy, extracranial-intracranial arterial bypass and stereotactic radiosurgery. Neurosurgical disorder-specific registries have also emerged. The Hydrocephalus Clinical Network has contributed to the dramatic increase in Level I and II evidence for hydrocephalus management in children over the last decade. The success achieved by such Big data registry programs has spawned a number of other registries including the Park-Reeves Syringomyelia Research Consortium and others by the NPA. The concept of centralized, publicly-accessible datasets extends beyond clinical data. The Cancer Genome Atlas (TCGA) established by the National Cancer Institute (NCI) and the U.S. National Institutes of Health (NIH) is one such Big data consortium contributing to basic science research in the field of neuro-oncology. Access to comprehensive genomic datasets impacts neuro-oncology through the development of targeted therapies. Similarly, The Cancer Imaging Archive (TCIA), funded by the NCI, is an open-access database that has facilitated the field of imaging research, or ‘radiomics,’ in neuro-oncology. For example, the VASARI project, as part of the TCIA initiative, was an effort to develop a controlled terminology for glioma morphology on magnetic resonance images (MRI). These public datasets have allowed for research into gene expression and radiomic features for rare brain tumors that was previously hindered by small sample sizes. The other expressions of big data techniques impacting neurosurgical research and clinical care involve the implementation of machine- and deep-learning techniques in disease characterization and clinical prediction. Although machine learning does rely on large datasets of the Big data variety, they often utilize complex algorithms to parse otherwise intangible data to make predictions. One example within neurosurgery is the use of machine learning for diagnosis and preoperative segmentation, a process by which a 3-dimensional region of interest (e.g. tumor or epileptogenic foci) is extracted and compared to adjacent anatomical structures, with reports of higher accuracy with machine learning models over clinical experts. Studies have applied machine learning to various clinical and computer-extracted texture features from brain tumors on MRI to predict time-to-tumor progression and overall survival. Many barriers to implementation exist for machine learning techniques in neurosurgery precluding their widespread use in practice. However, machine learning has already made an impact on neurosurgical research and is fast becoming a surrogate for big data analysis. The sphere of neurosurgical research is rapidly changing with novel big data applications. The increasing number of disease- and specialty-specific public registries has allowed well-powered studies with standardized, prospectively-collected clinical data to be published quickly and often without the need of institutional-review board approval. However, the quality of evidence offered by these datasets has been disputed, particularly for conclusions drawn from non-neurosurgical registries. Evolving computational techniques for interpretation of ‘big’ clinical datasets as well as more abstract inputs (e.g. 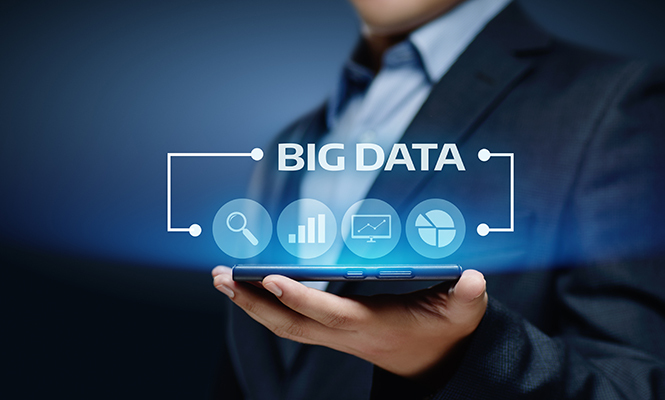 radiomic data) is taking the concept of big data further by making impactful predictions with the potential to augment clinical decision-making. The paradigm shift to big data in neurosurgical research sharpens the cutting edge of modern neurosurgical practice. This shift and the creation of centralized, publicly-accessible databases may accelerate the pace of scientific discovery in clinical neurosurgery. Jeffrey Traylor, is a medical student at Dell Medical School, The University of Texas, Austin. His research interests include machine learning and radiomics in neurosurgical oncology. He can be found on Twitter @JeffreyITraylor.